Everything that we are sharing unique post and article is for our loyal readers. Without readers and their response blog can’t go further with progress. To make readers up to date with your blog, you have to provide easy service where they can easily subscribe to your blog. All the people may not have been to your blog. 60% interested people are not reaching to your blog because they don’t know about your blog. You may do much promotion activity to promote your blog. And your reader increase by 5%. But the subscription is the great option where readers can subscribe to your blog and they can return when you update the blog with catchy headlines. And you are interested to promote your blog by increasing subscribers to your blog? Definitely you are. 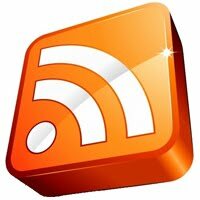 I have collected the 50 popular RSS feed directories where you can submit your RSS feed and increase your subscribers. Submit your feed RSS URL from the top of the list. These all are free to submit your RSS blog feed. You may be thinking what you can get by submitting your blog feed to these directories. So, here is the benefits. Get more subscribers to your blog. Get new visitors to your blog. Let the new visitors well known about your site. Get the blog popularity easily. Enjoy free RSS blog submission! Let us know in how many of these sites you have submitted your blog? Share if you know more RSS directories.